The water level in Mopti showed still a small increase last week, but the rise in water level slowed down clearly. Based on the information available on 2nd October, OPIDIN predicts that the flood will be high, comparable to 2016. The water level in Mopti is now 92 cm higher than the peak last year (551 cm, reached on 22 September), and shows the same pattern as in 2016. Although at this stage even a higher flood is predicted, it is expected that the flood will not rise much higher (limited increase). The water level in Mopti on the 2nd October was 643 cm, resulting in an increase of 9 cm compared to the previous week, but slows down clearly now. Although the water level is about 108 cm higher than the one at the same date in 2017, it is 4 cm lower than at that date in 2016. It is expected, that the water level in Mopti will now show only a small increase in the coming weeks. The peak in Mopti will be reached in the second half of October. Based on OPIDIN, the level of flooding will be at its maximum in Akka in the end of November and in Diré around half of December. These predictions are based on the water level reached in Mopti on 2nd October, but also takes into account the recent rainfall in the Upper Niger and Bani. Based on the current prediction, the south-western part of the Inner Niger Delta may become available for grazing cattle in the first decade of December. 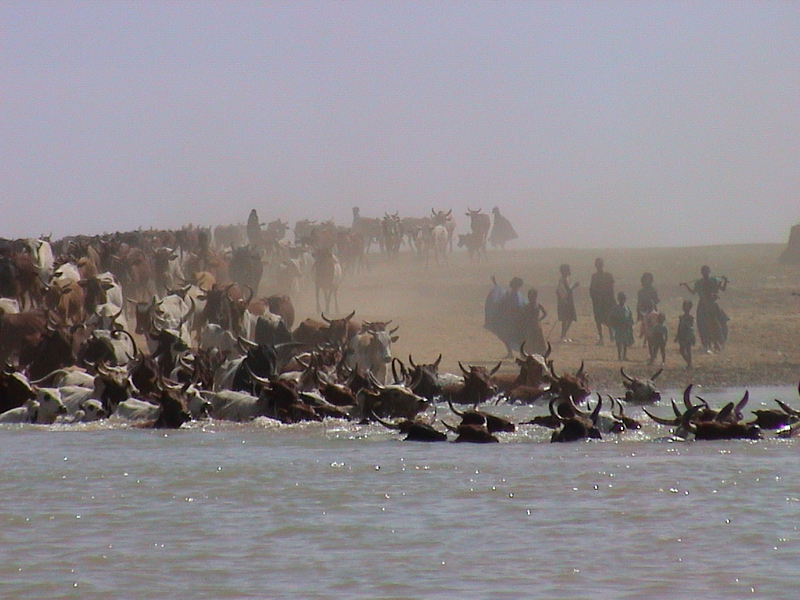 Using the relationship between peak flood level in Mopti and the annual date when the cows are allowed to enter the Inner Niger Delta at Diafarabé, it is expected that the cattle can cross the river at Diafarabé on about the first week of December. The rainy season in the Upper Niger Basin started on an average level this year but from mid-July onwards there is an upward trend with rainfall well above average in the Upper Niger Basin as well as in the Upper Bani. The weather models continue to forecast a rainfall above average in Guinea for the next two weeks, but with a moderate confidence level.